When you think of the room you spend the most time in what comes to your mind? 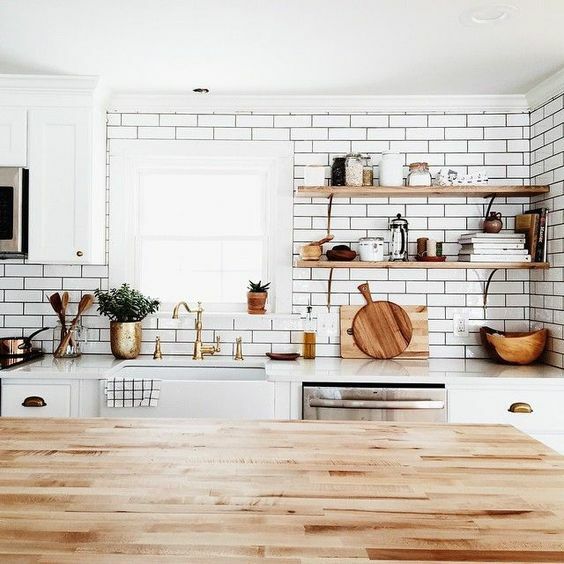 Many of us spend the majority of the time in our kitchens, making food and enjoying it with our families. The most used room can always use a fun new update, to keep it beautiful AND functional! 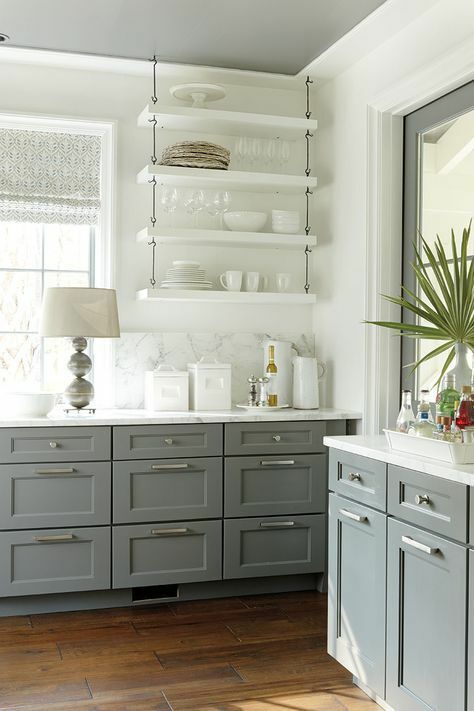 Adding new cabinet hardware, an eye-catching backsplash, or even a fresh coat of paint can take your kitchen from old to new in a few simple steps. 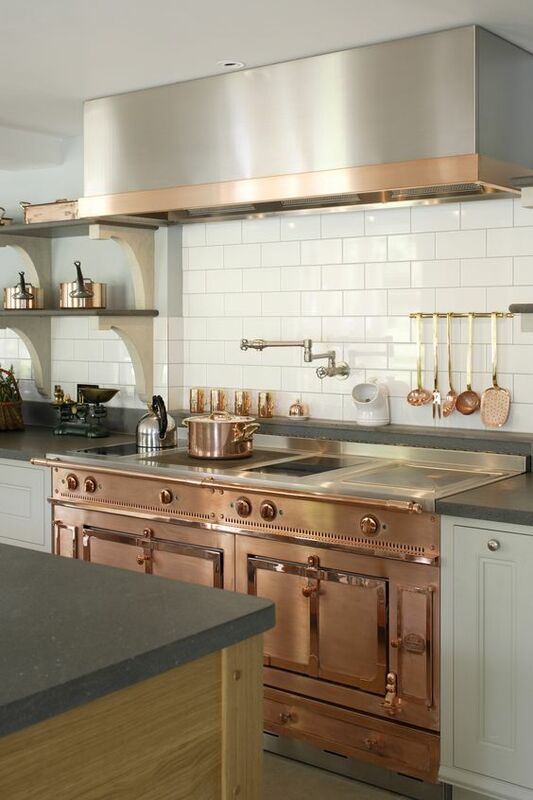 We have the perfect tips to help you cook up something special to revamp your kitchen. 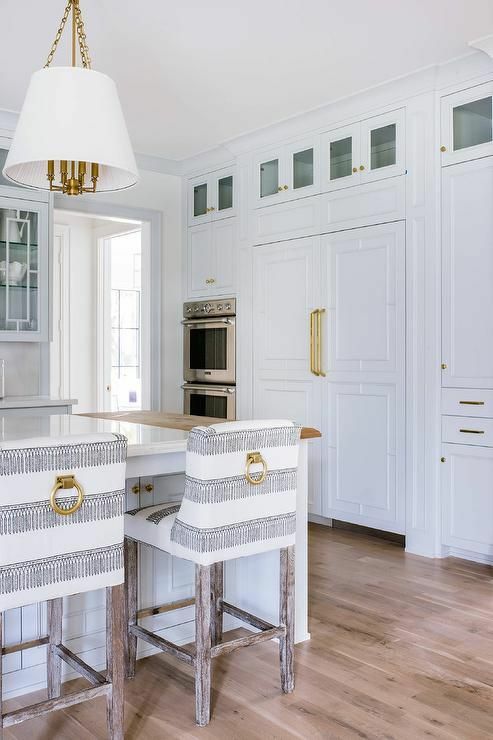 Whether you’re putting your house on the market or are planning on staying put, we have some chic updates everyone will enjoy for years to come! 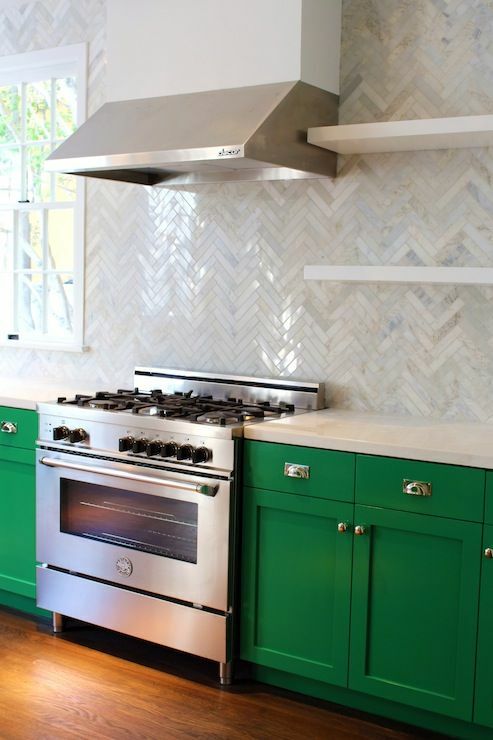 Want more backsplash inspiration? 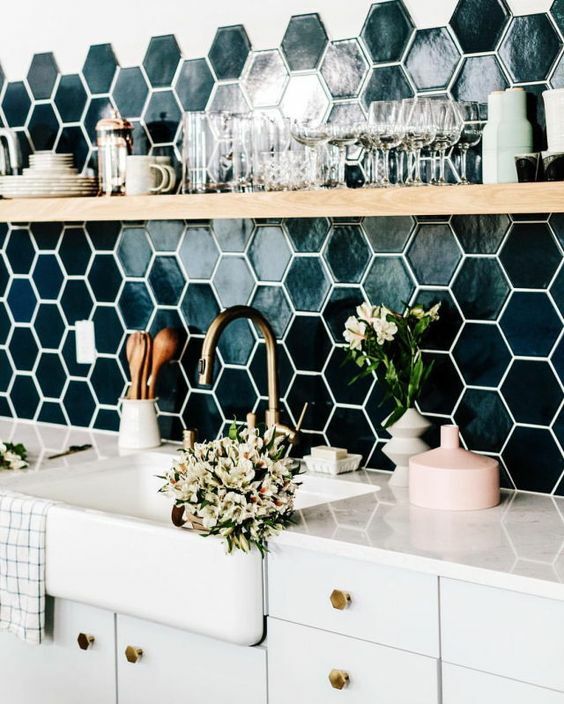 Check out all the inspo you need on House Beautiful! 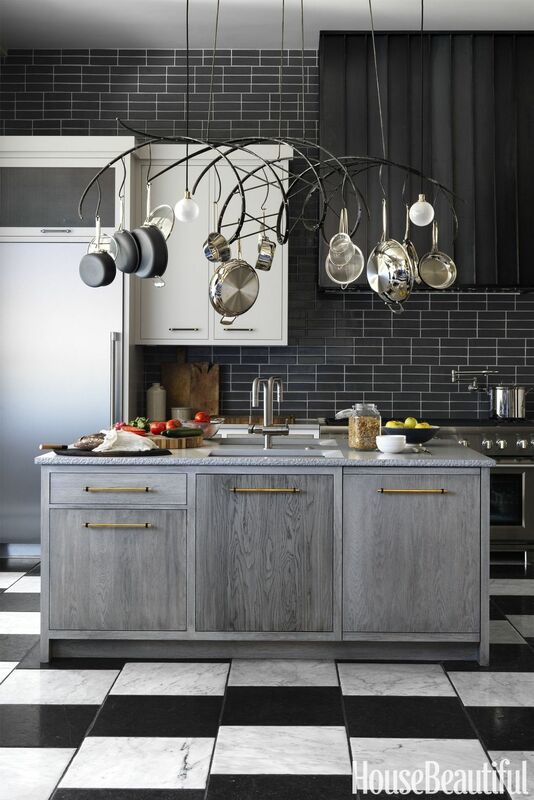 Changing out your fixtures is a great way to instantly change the look and feel of any kitchen. 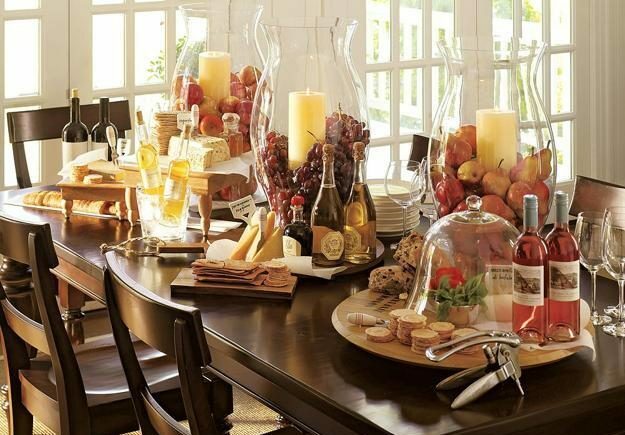 It is a definite way to revamp your space and take it from drab to fab in an afternoon. KF advises to hire a pro to do the installation for you. It will be well worth the dollars spent. 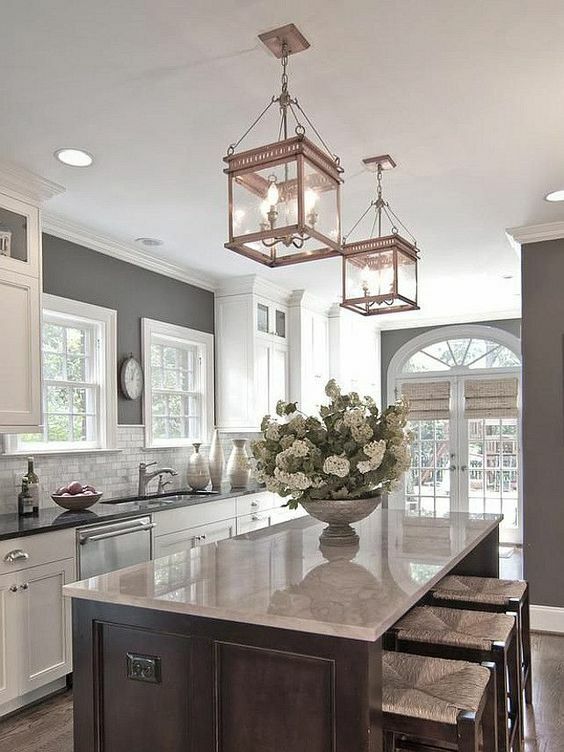 Stainless steel appliances have been the hot trend for years now with no end in sight. 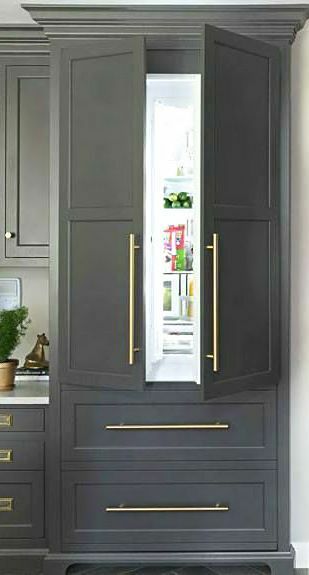 If you want to stick to the popular look, but want to be unique, there are millions of options when it comes to shape, style, and performance with all appliances. 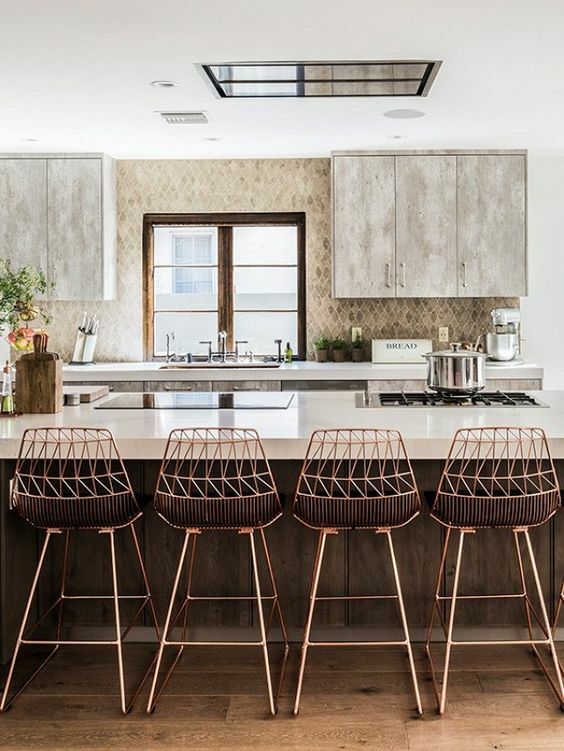 And there is always the option of making the space completely your own and mixing up with copper, white or black appliances! 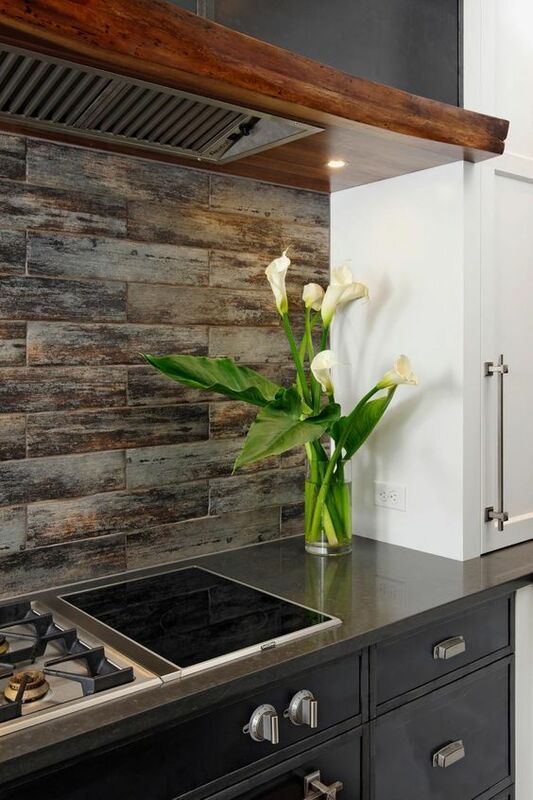 Disguise appliances such as the refrigerator for a beautifully, streamlined look. 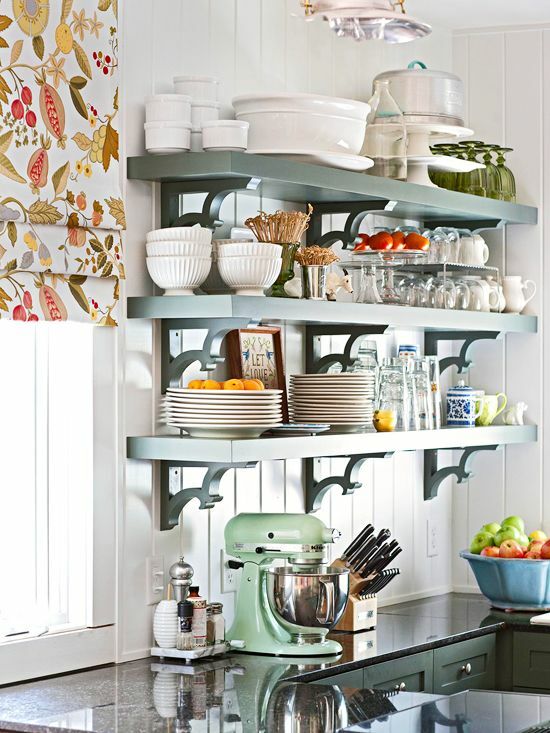 Tastefully place small appliances about the kitchen for functional purposes, just don’t over crowd your countertops! 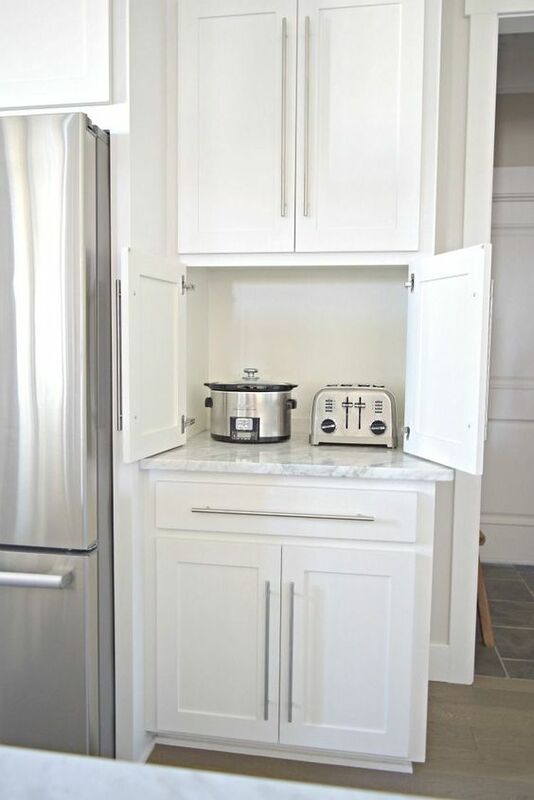 Build a cabinet that disguises your small appliances, so they can be tucked away when not in use. 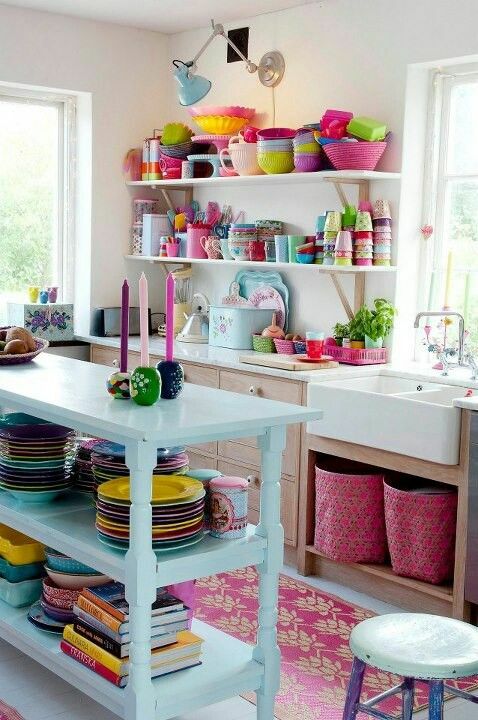 This assures a more serene and organized kitchen that you and family and friends can enjoy. 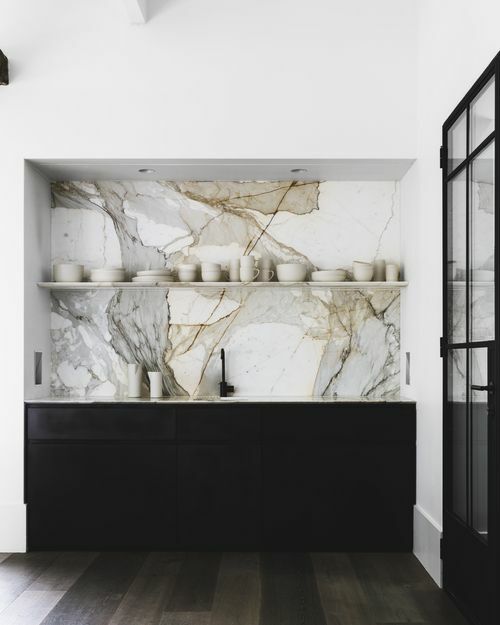 KF TIP – clutter on your countertops, in your drawers and cabinets creates frustration and confusion. 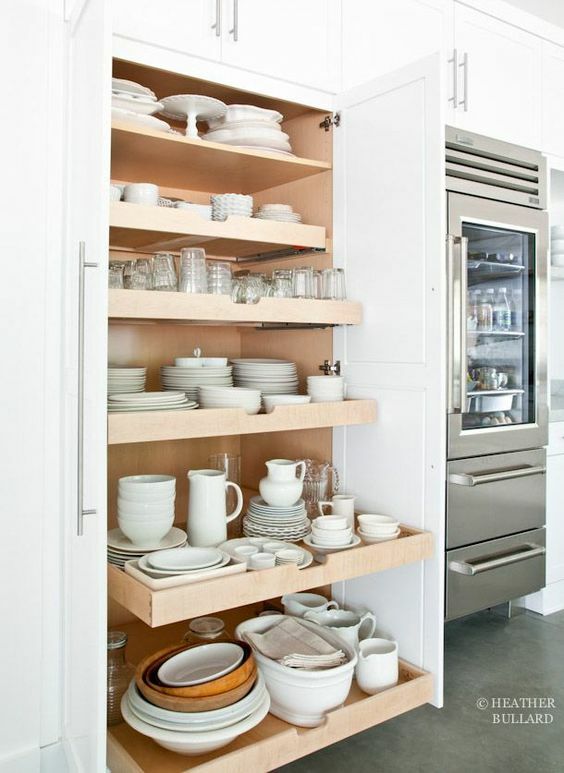 Have a plan to make sure that your kitchen stays organized with things tucked away in their proper place. Color is back in full force! 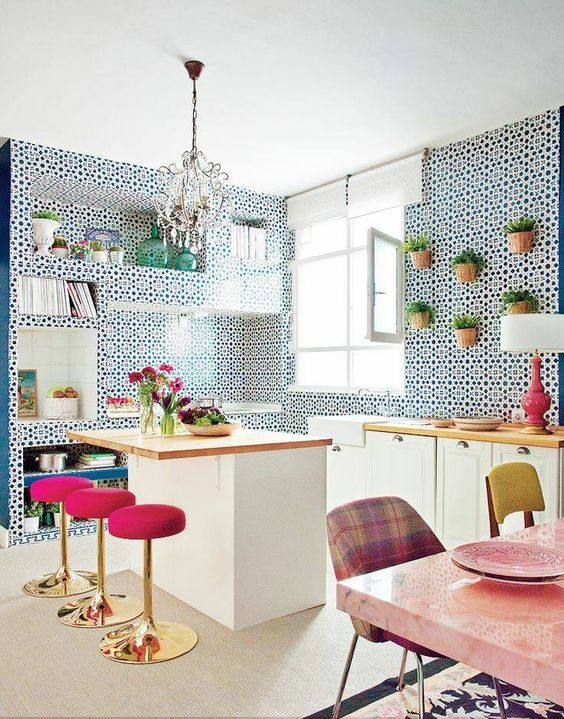 A trendy but fun way to make this room stick out is by adding a bold accent with color(s). 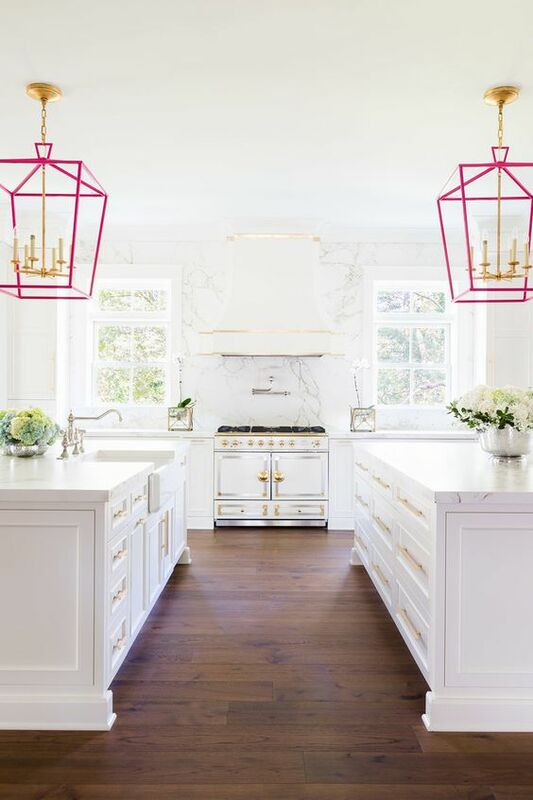 If you are into more subtle notes, change the color of the light fixtures, adding an accent by painting a color on your island, or simply accessorize around your kitchen with pops of color that inspire you and make you smile. 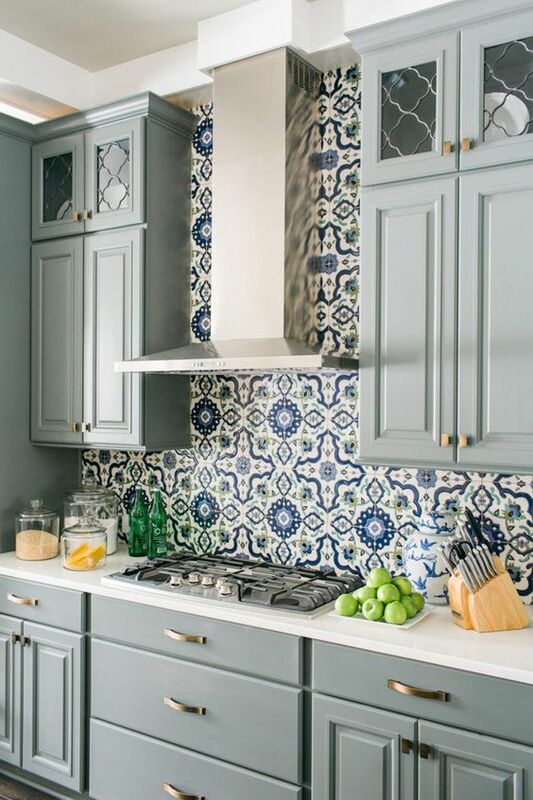 If you are feeling adventurous, paint all your cabinets a bold color or by adding in a striking and colorful backsplash. 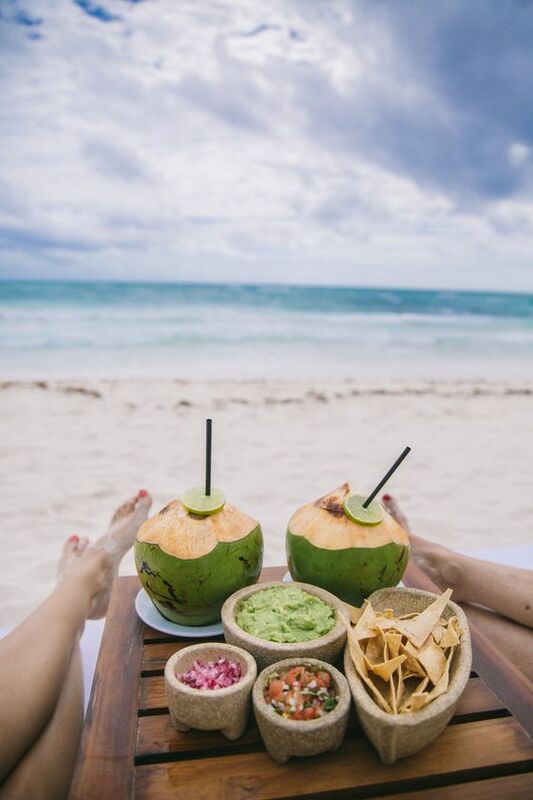 KF Tip – There are endless ways to add pops of color, and it’s a license to get creative and add in your own personality and style! Simply changing out the accessories in any room can add dramatic impact. A kitchen is no different. 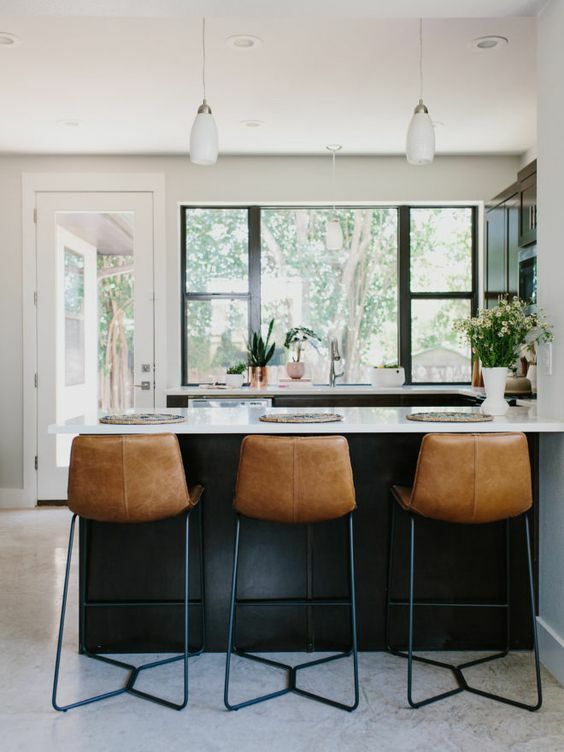 You can change the look and feel of the room with updates like bar stools, dishes, and counter decor. 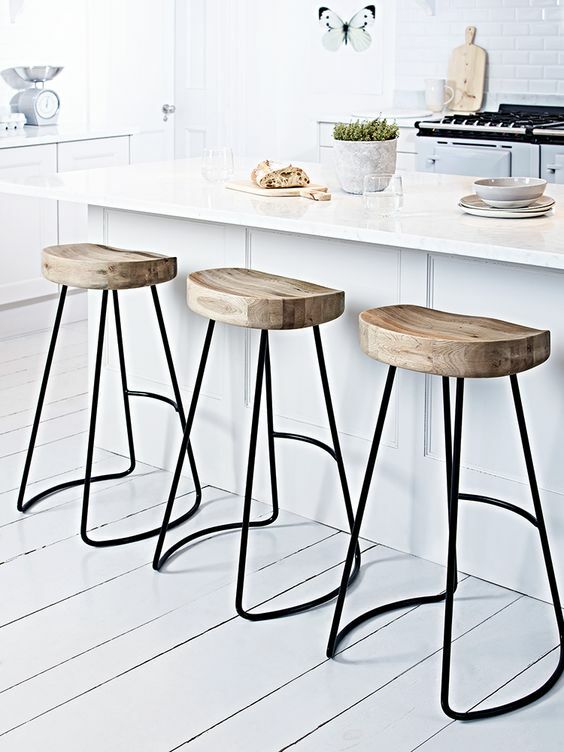 Barstools are definitely a game changer and help set the tone and style of your kitchen. With so many beautiful choices and so many styles, your possibilities are endless. 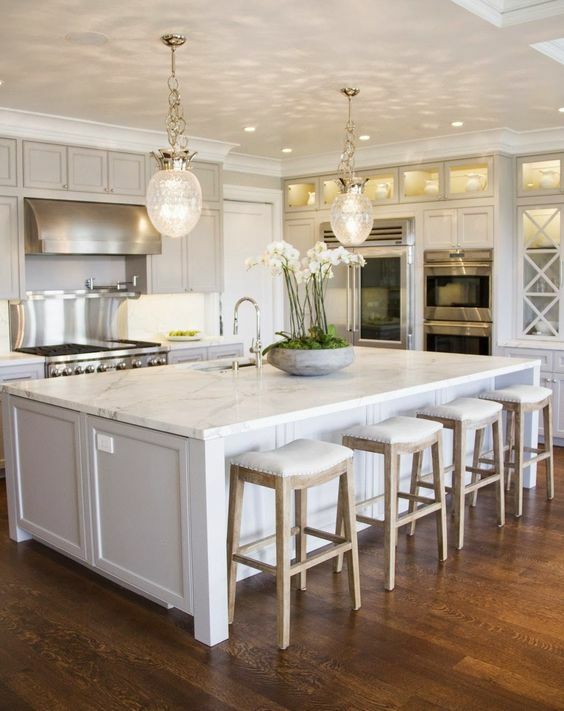 A barstool invites family and friends to come in and sit down and engage with you as you prepare meals. It creates an inviting play to linger and enjoy the moment after a long day of work and activities. 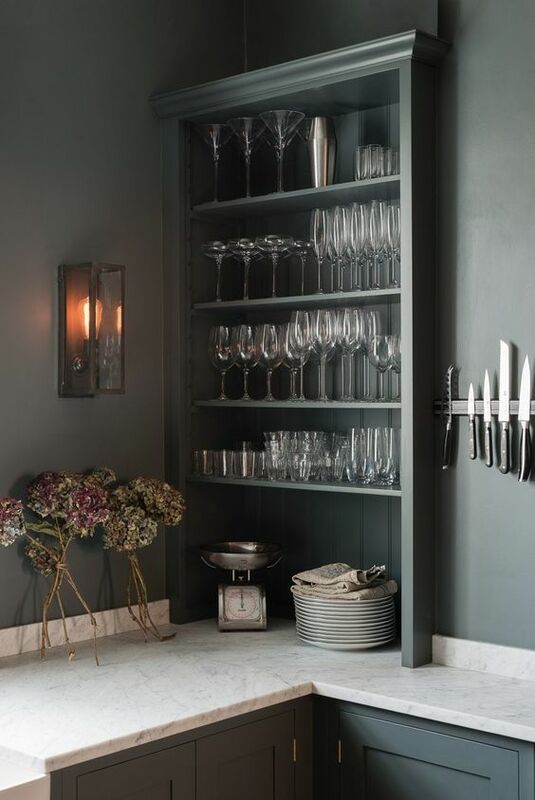 Display dishes and glassware by adding a shelf above the sink or in a focal point of your kitchen. It gives you easy access to what you need which is functional, and it shows a part of your personality which is beautiful. 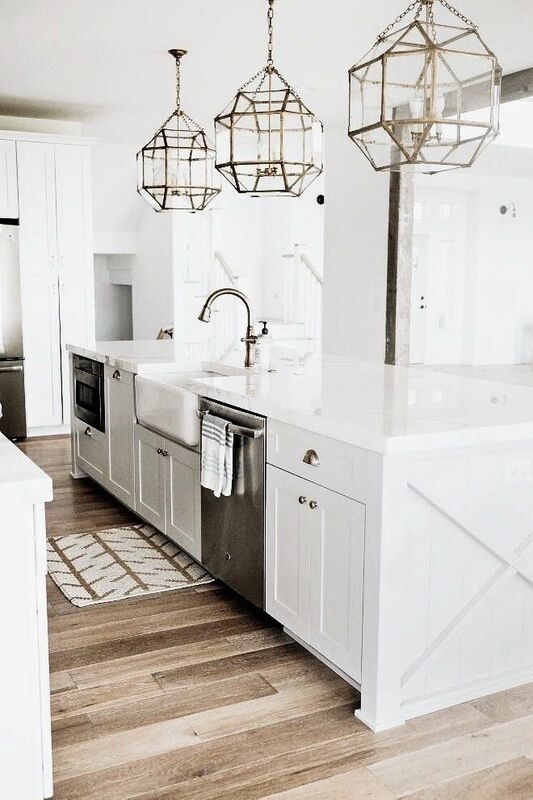 KF Tip – Kathy advises that the No 1 thing about design and lifestyle is that it not only looks pretty, but it works well and is organized also. 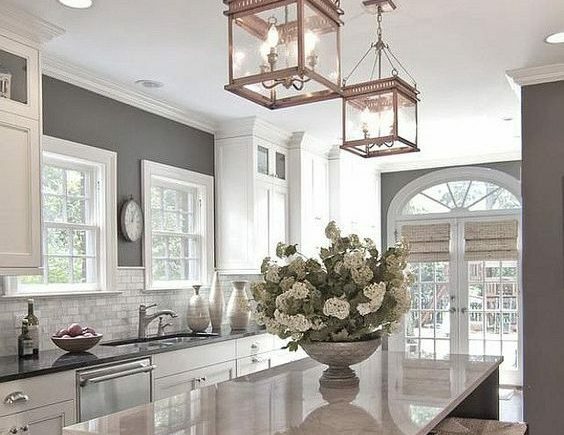 No matter what you are designing or remodeling, if you stay true to this philosophy, you will never be disappointed in your choices and your life will be impacted in a beautiful way.